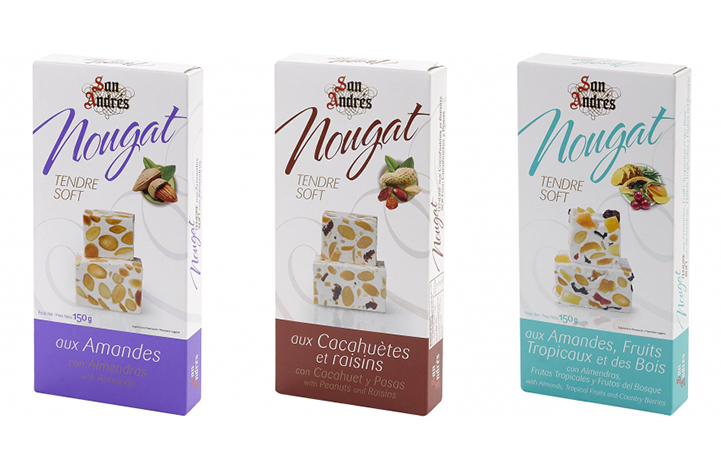 San Andres is a nougat produced by Frutas y Turrones, S.A. in Spain. The Company was founded in 1984 by people with experience inherited from three generations linked to the nougat industry. When the company first started out, it focused on the domestic market, but gradually have expanded internationally and its products where been extremely well received in different markets. All products are made in accordance with strict quality controls certified by the IFS standard, combining traditions and new productive processes. Only premium quality 100% natural ingredients are used for the production of all nougats. Londou Trading became the exclusive distributor in the Cyprus Market of San Andres in 2018.